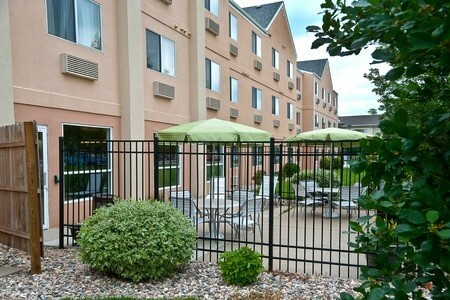 Located just six minutes from South Dakota State University, the Country Inn & Suites® by Radisson, Brookings, SD makes the perfect home base for your Glacial Lakes adventures. After a long car ride, you can step outside of our hotel’s front doors and onto the Dakota Nature Park trail for a romantic stroll or a family walk. If you’re visiting your favorite student at SDSU, plan an educational visit to the South Dakota Art Museum or stop for a family photo op at the McCrory Gardens, both located on campus. Visiting the area on business? Corporate guests appreciate our proximity to the Swiftel Center and local businesses like Daktronics and 3M. 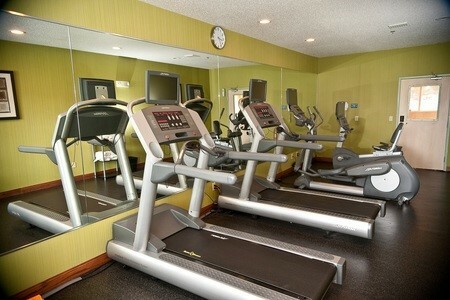 Planning a couple’s getaway in Brookings? 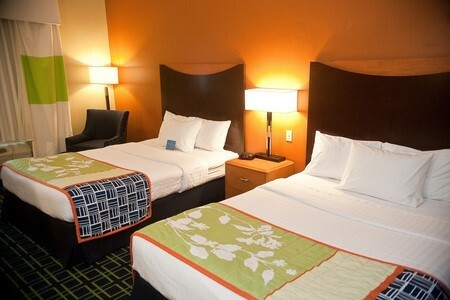 Book our Whirlpool Suite, where you and your loved one can enjoy a king bed, a whirlpool, a sleeper sofa and a wet bar. Hitting the Dakota Nature Park trails? Fuel up with selections from our free, hot breakfast. You can build a hearty plate of waffles, eggs and bacon, or opt for lighter options like yogurt and coffee. For a memorable meal, head to local restaurants like Nick’s Hamburger Shop, which has treated Brookings natives to mouthwatering burgers, chips, pies and shakes since 1929. Swiftel Center – This 30,000-square-foot conference center hosts events from concerts and expos to rodeos, conventions and sports games, all less than one mile from the hotel. McCrory Gardens – This destination just six minutes from the Country Inn & Suites boasts more than 25 acres of impeccably crafted gardens. Enjoy a romantic stroll through the scenic Terrace Garden and Hummingbird Garden, or let your kids run off their extra energy in the Children’s Maze. South Dakota State University – Join more than 12,000 students when you visit the campus of the state’s largest university, located less than two miles from the hotel. You can cheer on the Jackrabbits at Dana J. Dykhouse Stadium or peruse the exhibits on display at the South Dakota Art Museum, both located on site. Before heading to a meeting at nearby corporations like Daktronics or 3M, gather with your colleagues in the intimate meeting space at our hotel. 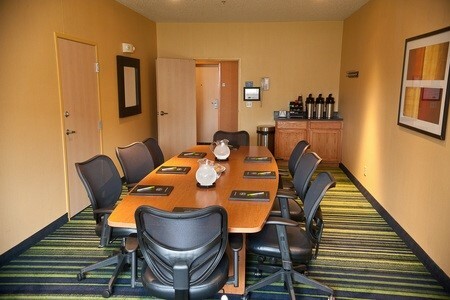 Our stylish meeting room offers an elegant boardroom-style setup with space for up to eight attendees. 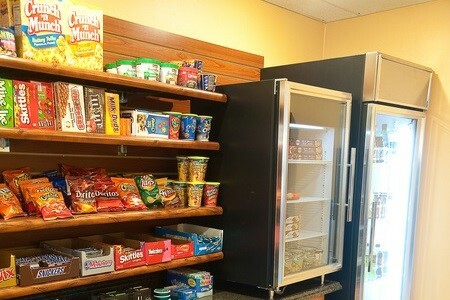 Your team can stay connected with free Wi-Fi, and our friendly staff is happy to deliver refreshments upon request.